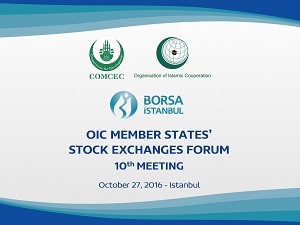 The 10th Meeting of the OIC Member States’ Stock Exchanges Forum was held in Istanbul on 27 October 2016. The meeting provided a platform to discuss, among others, central sharia boards, real estate certificates, developing market for Islamic depository receipts and ETFs. The forum members will also be enlightened on the forum activities and future plans.